IS it a return to the ’90s? (Remember clear Pepsi?) Maybe. Canadian Whisky has long been the whisky of choice for cocktails – hence the dominance of the brand in the ’50s and ’60s, and in the show Mad men. The problem is that it makes various fruit cocktails look awful, a sort of mud brown. This is a whisky meant for blending cocktails. Does it taste like rye? Yes. It’s not the best rye I’ve ever drunk but it’s a whisky. It has that weighty mid-palate, and nutty flavour you expect. I’d suggest trying it in any cocktail you make with white rum. You might find a dry Manhattan interesting too. It makes a pretty good daiquiri, rather to my surprise. 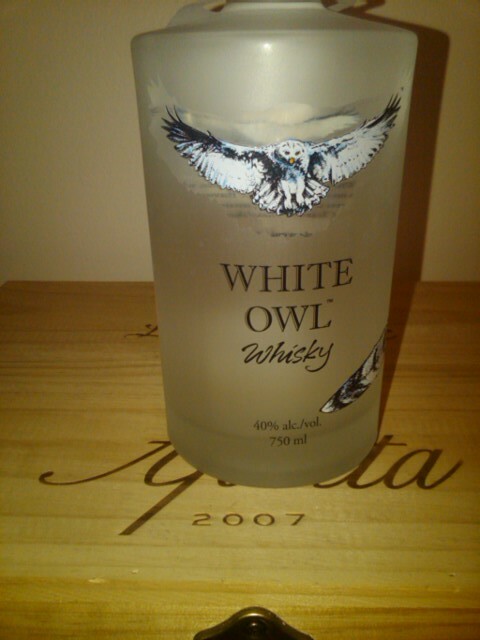 This entry was posted in Cocktails, Spirits and tagged clear, ghost, rye, whiskey, whisky, white owl. Bookmark the permalink. I do believe all the ideas you’ve offered to your post. They are very convincing and will certainly work. Nonetheless, the posts are very brief for beginners. May you please prolong them a little from subsequent time? Thanks for the post.